The Spartan Composite Sideform is specifically designed for magnetic clamp precast application / support to the steel casting bed / table. The ball lock rail strip at the rear of the sideform allows for quick and simple engagement of the magnet clamp to the Spartan Sideform simply by lowering the adaptor plate attached to the magnet clamp along the rear of the sideform. That means no bolts, screws or any other complicated and time consuming fixing - just lower the magnet clamp to the rear of the sideform and engage the magnet handle with the stripping process by lifting the magnet handle. The Centurion Composite Sideform is a universal sideform that can be used for both Precast and Sitecast applications. The Centurion Sideform allows for capping to be snapped on both ends thus allowing for the sideform height to be increased by up to 25 mm (1 inch) on either end i.e. a total of 50 mm (2 inches) increase in overall sideform height. 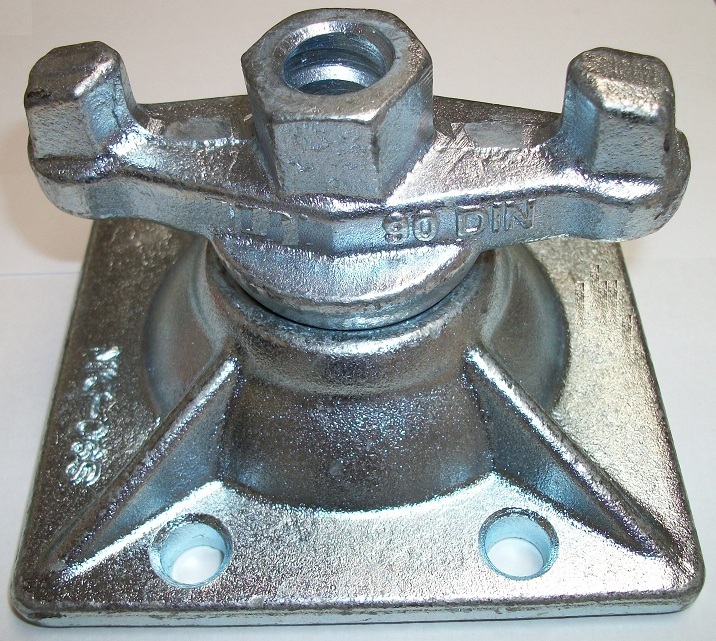 This makes the Centurion an ideal sideform to use on fixed or hinged ends of a precast table as it eliminates the need to remove the fixed end sideforms when a change in panel thickness is required. Instead one can simply leave the sideform in place and replace the capping to accommodate changes in thickness of panels being cast. The Trojan Sideform is a basic aluminium sideform extrusion with fixed 15 mm x 15 mm fillet chamfer on the top and bottom edges. The Titan Magnet Clamps can support the majority of all sideforms and shuttering on the market simply by using an appropriate adaptor plate (suited to the type and fixing method attached to the Titan Magnet Clamp).